As 1963 came to an end, there were nearly 16,000 U.S. troops in Vietnam. Just three days before President Kennedy’s death the secretaries of Defense and State, along with a host of other high-level civil and military officials, met in Honolulu to review the situation in post-Diem Vietnam. Out of this conference came National Security Action Memorandum (NSAM) 273, in which the LBJ White House reiterated the domino theory and called for planning "different levels of possible increased activity,” to include “estimates of the resulting damage to North Vietnam” and the plausible deniability of such activity. The heads of the Defense and State departments, the Joint Chiefs of Staff, and CIA began discussions immediately. Defense Secretary McNamara reported that the Viet Cong were making steady gains, thanks in part to increased infiltration of supplies over what would become known as the Ho Chi Minh Trail. The conferees made four general recommendations: (1) increase pressure on North Vietnam; (2) begin covert cross-border operations in Laos; (3) initiate aerial reconnaissance of both Cambodia and Laos; and (4) send American aid and economic advisers to South Vietnam. The Joint Chiefs directed the Commander-in-Chief, Pacific (CINPAC), in coordination with the CIA, to undertake the actual planning. CINCPAC in turn delegated the military responsibilities to the Commander, U.S. Military Assistance Command, Vietnam (COMUSMACV). The resulting MACV/CIA plan cataloged more than 2,000 options, ranging from covert pin-pricks to battalion size raids and bombing of North Vietnamese targets. LBJ’s staff ordered that this rather unrealistic list be whittled down to those actions that would yield the greatest return for the least amount of risk. The upshot was a mulit-phase program, the first of which called for increased photo reconnaissance and SIGINT flights, psychological warfare operations, and sabotage of selected North Vietnamese targets by South Vietnamese commandos. Building on existing contingency planning, the program was designated Operations Plan (OPLAN) 34A-64. 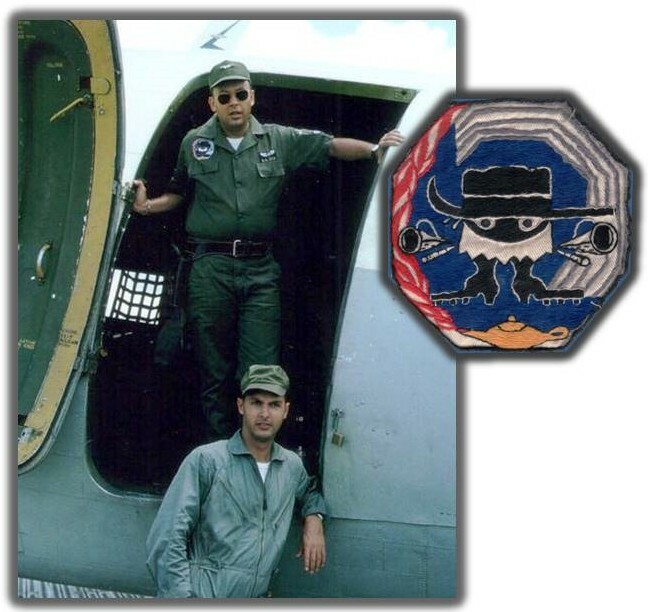 Although apparently not directly related to OPLAN 34A, in early 1964 a pair of USAF Gooney Birds appeared in Vietnam, tasked with SIGINT missions. 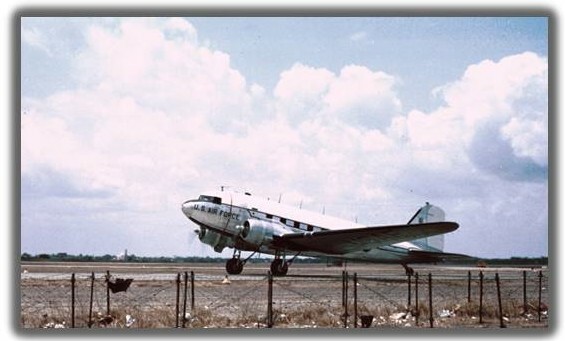 First on the scene was a modified C-47 flown in from Korea to Vietnam under a project known as SOUR GRAPES. According to the technicians who performed much of the work, Headquarters USAFSS ordered the conversion in an attempt to provide a low-cost alternative to Japan-based C-130 COMINT platforms which would be overextended if forced to cover Southeast Asia in addition to their Chinese and Soviet targets. SOUR GRAPES deployed to Vietnam essentially as a “hearability” test, targeting enemy VHF voice communications. Chinese and Vietnamese linguists recorded any “take” in flight then processed their tapes after landing at either Tan Son Nhut or Da Nang. The equipment functioned as advertised on the 32 missions flown, but results were “underwhelming”. In April, the SIGINT gear was removed and the Gooney Bird was flown back to Korea. In February the HAWKEYE aircraft, last heard from in December 1962, arrived in Vietnam to conduct ARDF testing. Whether its appearance along with the SOUR GRAPES bird was merely coincidence or part of a larger plan is not known, although there are indications that HAWKEYE may also have been in Korea prior to the Vietnam deployment. “Upon arrival we received our orientation from the Army Security Agency (ASA) unit in that area. I recall being surprised at some of the things we learned about the military situation that we didn't even know existed. The majority of the missions were flown between TSN and the DMZ. The farthest north I remember going was a place called Phu Bai. I remember landing there but can't remember the reason. We would go TDY to Da Nang on occasion." The army did in fact have its own program going in the Delta. Nicknamed “Seven Roses”, it added seven additional RU-6A Beavers into ASA’s ARDF program. HAWKEYE did not fare as well. According to a USAF report published later, the results of the experiment were unsatisfactory. In July the aircraft was returned stateside for further modification and testing. Among the many sabotage, intelligence gathering, and propaganda operations staged under OPLAN 34A were raids by high-speed South Vietnamese motor boats against North Vietnamese islands and occasionally against mainland bases. Since 1962, the U.S. Navy had deployed destroyers fitted with removable SIGINT vans along the coast of Communist China. Known as DESOTO* patrols, these missions now provided additional SIGINT support for OPLAN 34A under a program named KIT KAT. On 28 July 1964, the USS Maddox (DD-731) sailed from Taiwan on a DESOTO patrol which would steer a course close to the North Vietnamese coast, in part to stimulate radar and communications responses which would be intercepted by the Naval Security Group SIGINT operators aboard. Events of the next few days mark one of the watershed moments in the Vietnam war. Unbeknownst to the commander of the Maddox, OPLAN 34A raids by South Vietnamese commando boats were laid on for the night of 30/31 July. Intercepts by the NSG contingent on the Maddox indicated a strong North Vietnamese reaction, and the destroyer temporarily withdrew. On 1 August, she was back on station. The next afternoon, three PT boats were detected approaching at high speed, evidently with hostile intentions. When warning shots failed to have the desired effect, a one-sided battle ensued, topped by air strikes from nearby U.S. carriers. One North Vietnamese boat was left dead in the water, the other two were badly damaged. Maddox took a single heavy caliber machine gun hit. The U.S. took no further action, but as a signal to the communists Washington ordered Maddox, now reinforced by a second destroyer, back into the Gulf of Tonkin. Meanwhile, two more 34A raids were carried out on the night of 3 August, further stirring up the North Vietnamese hornets’ nest. About dark on 4 August, SIGINT intercepts indicated that another attack on the American destroyers might be in the offing. The ships went to battle stations. Weather in the Gulf had deteriorated, making visual sightings difficult and interfering with electronics. More than 50 years later, what happened next remains a point of controversy in some quarters. One thing is certain—the American warships spent the next several hours tracking and engaging hostile targets, real or imagined. Confusion was the order of the day as all parties, including the SIGINT community, tried to sort out exactly what had happened. As information, much of it contradictory, dribbled into Washington, McNamara and the Pentagon chiefs weighed the options for retaliation. Any remaining doubts that a second attack had actually occurred were erased by an intercept which, when translated, indicated that the North Vietnamese had “shot down two planes in the battle area” but "had sacrificed two [of their own] ships" in the process. This piece of SIGINT sealed the deal. Carrier-based aircraft would attack targets in North Vietnam, coinciding with a presidential address to the nation late in the evening of 4 August 1964. Communist terror “against the peaceful villagers of South Vietnam” had now been joined by “open aggression on the high seas.” American determination to “carry out our full commitment” to South Vietnam would be “redoubled by this outrage." Two days later, Congress passed what became known as the Tonkin Gulf Resolution authorizing the President, as Commander-in-Chief, “to take all necessary measures to repel any armed attack against the forces of the United States and to prevent further aggression.” Thus the United States was formally involved in the Southeast Asia war, to whatever degree the President deemed necessary. *The DESOTO acronym came by way of the USS DeHaven, the first ship tasked with these missions: DeHaven Special Operations off Tsingtao. Despite the conclusiveness of the Johnson administration’s 1964 pronouncements, there were many doubts as to the facts surrounding the alleged second attack; so much so that in 1968 the Senate held closed hearings on the matter. In their testimonies, Secretary McNamara and others, with materials selectively provided by NSA, stuck to the original story. Over the years skepticism mounted, particularly as bits of the SIGINT evidence began to surface. A previously classified article released in 2005 went so far as to unequivocally claim, not only that an attack never occurred, but that a careful and correct analysis of the SIGINT surrounding the events of 4 August 1964 would have yielded that very conclusion. The most astonishing aspect of this article is its source—an NSA historian. More astounding still is his contention that SIGINT was skewed, not by the administration as might be suspected, but by unnamed persons within NSA, acting on motives known only to themselves. Not surprisingly, this conclusion was far from unanimous within the confines of Ft. Meade. Nonetheless, this analysis makes a convincing argument that the intelligence upon which was based one of the crucial decisions of the war was, at best, poorly analyzed and inadequately reported. Thanks to SOUR GRAPES linguist Chuck Semich and Dennis Adolph, the lower guy in the HAWKEYE photo above, for their contributions, without which this article would lack much detail. For references and additional photos, see Annex 2.4.